A goal nine minutes from time enabled bottom-placed Lija Athletic to end their losing streak as they held Ħamrun Spartans in a 1-1 draw. 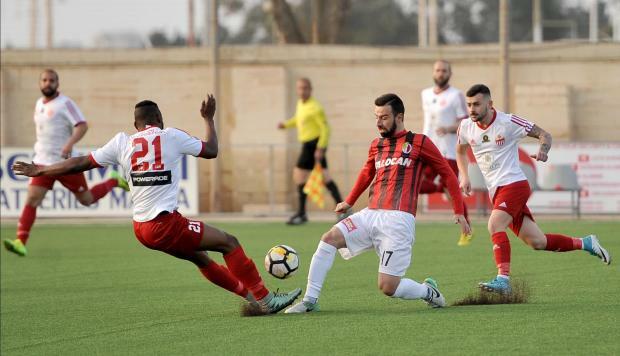 Ħamrun managed to break the deadlock two minutes in the second half when off an assist by Arthur Faria Machado, Alexander Nilsson slotted past goalkeeper Luke Bonnici. Nine minutes from time, Lija were not to be denied as following another good run by Kooh Sohna on the right, he served the unmarked Erjon Beu who hit low past the Ħamrun custodian. BOV Player of the Match Luke Bonnici (Lija Athletic).